It was an accident, but still, I broke a cardinal rule of book reading. I read the last chapter first. I blame it on the e-book format and I should probably have to re-shelve library books for the next week as penance. Would I recommend it? Don’t read the last chapter first because that will spoil everything but also don’t let the first few chapters get you down. 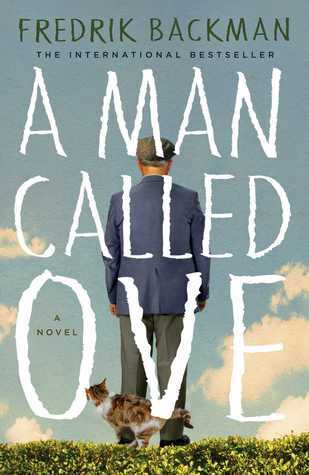 Give it a little time and you’ll fall in love with the grumpy old Swedish man called Ove, I did. This entry was posted in book review and tagged book, book review, fiction, recommended read. I confess, I used to be a regular last chapter reader, but I seem to have dropped the habit now. I really liked it (start to finish in order!!). I tried one of author’s other books about a woman and ick, did not finish….. I give George a hard time about reading the end first (in mysteries!) But only because he’s otherwise perfect. We are so focused on perfection that the water gets little attention. I downloaded the sample to my e-reader a few months ago to see if I might want to read/buy it. I read the first chapter (free) and dumped it. Now you have me wondering if it might have improved. Hmmm.